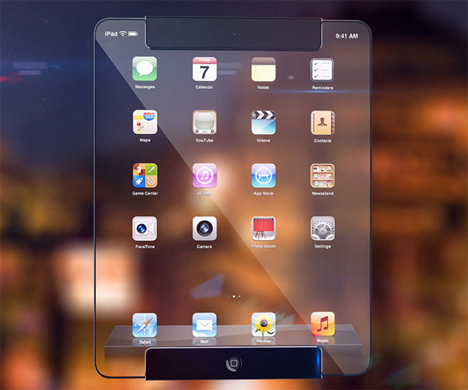 Transparent iPad Concept: See-Through Future of Tablets? There are entire online communities dedicated to guessing which designs Apple might release next, but some designers go ahead and make their own rather than waiting to see the official versions. Designer/digital artist Ricardo Afonso created this transparent iPad to show what future generations of the wildly popular tablet computer might look like. 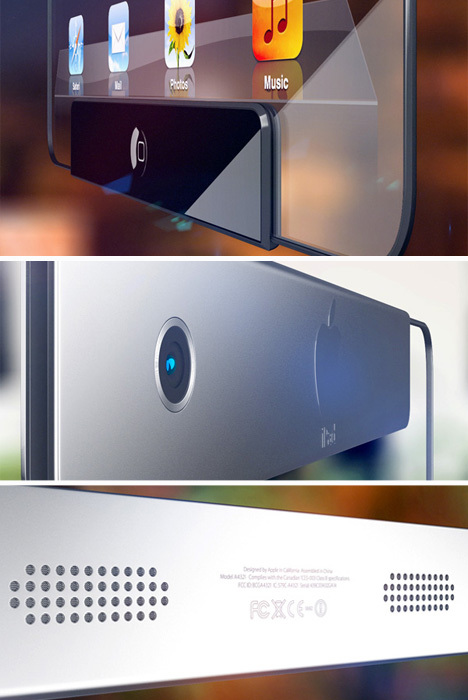 The transparent concept is way more stylish than the current generations of iPads. Its body is almost entirely see-through glass, other than the two small bars at the top and bottom. These bars provide a place to grip as well as housing the camera, microphone, speakers and power button, along with all of the other “guts” usually hidden in the bodies of gadgets. The concept includes two color choices: black and chrome. Alfonso’s design is only a concept, but we would love to see Apple adopt some of his ideas for future iPad generations. Since previous “updates” to the iPad design have been mostly size-related, it seems like it is about time for Apple to unveil a radical redesign of their tablet. See more in Computers or under Gadgets. April, 2013.